Alida Bográn-Acosta (Sugarman, Rogers, Barshak & Cohen, P.C.) 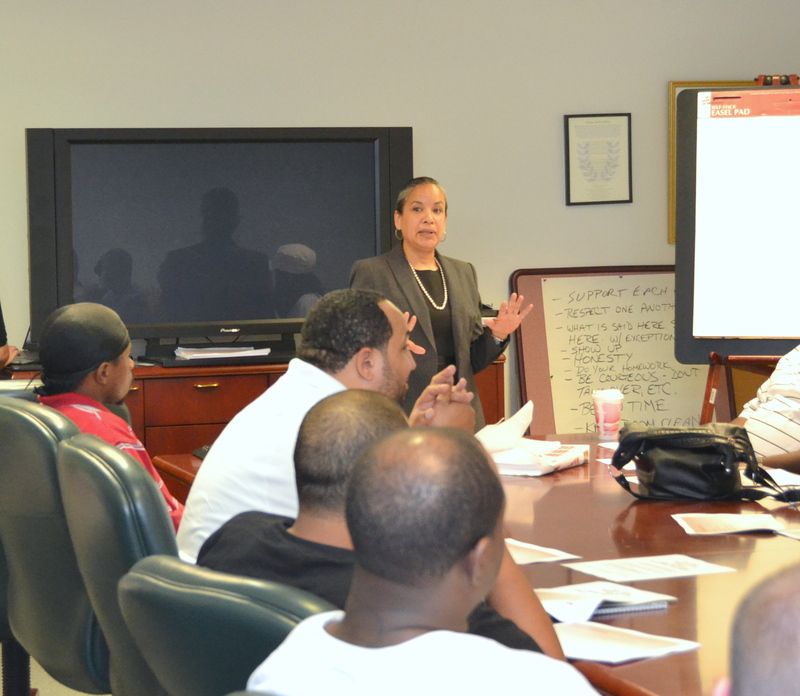 and Allyson Kurker (Kurker Paget LLC) presented the last Community Reentry Readiness session on employment law to probationers at the Federal Court yesterday. Yesterday at the Federal courthouse, BBA volunteers and employment law specialists Alida Bográn-Acosta (Sugarman, Rogers, Barshak & Cohen, P.C.) and Allyson Kurker (Kurker Paget LLC) assisted PILP 9 by delivering an informative presentation on employment law basics — a particularly important issue to the probationers. With 21 probationers in attendance, Alida and Allyson answered countless questions that the group brought to the table. This presentation was the 7th and final module in the pilot series. Next month, PILP 9 will meet with the probationers from the CARE and RESTART programs for an informal discussion intended to gather feedback on the 7 pilot lessons. Stay tuned for updates.